The lobby area of M Resort Las Vegas. 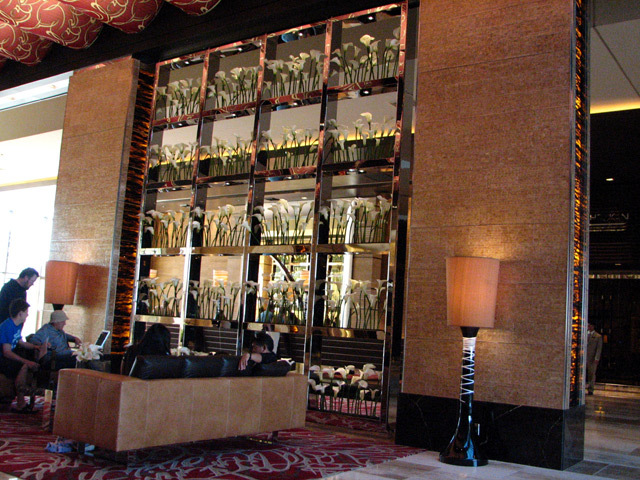 The registration desk is behind the floral displays, to the left is the porte cochere. Natural light floods the area from skylights above.